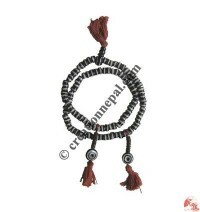 As a manufacturer and wholesaler of Nepalese handmade Buddhist prayer beads Mala, rosary and wrist Malas, Creation Nepal offers diverse selection of high quality prayer Malas like 108 beads Tibetan Japa Mala, 54 beads Mala, 27 beads wrist Malas in various types and sizes of beads in competitive wholesale price. 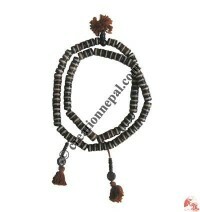 What is Mala and the use of prayer beads mala? 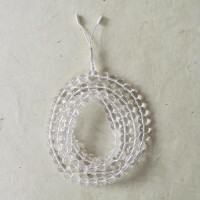 Mala is the Sanskrit word which means garland and is a string of beads that is commonly used for recitations of Mantras like "OM", Om Mani Padme Hum , "OM Namah Shivaya", name of God etc. 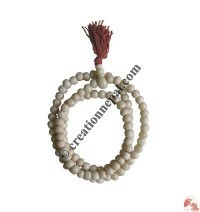 According to the tradition, a complete mala must have 108 beads if the beads are usual size (8 to 12 mm) and 54 beads mala is also in use as prayers beads mala. 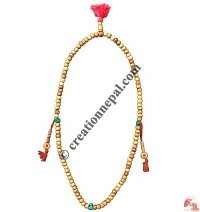 Mala's tradition is very old both in Hindu and Buddhist culture similar like the Catholic rosary. 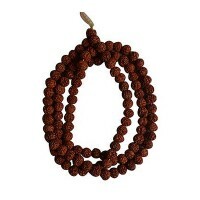 Traditionally the Malas are of bone beads, stone beads, wooden beads like rose wood beads, Sandal wood beads, and seeds like Lotus, Rudraksha, Bodhi seed that are considered as the sacred materials. 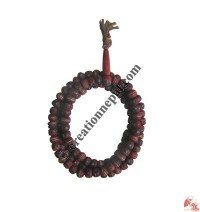 The Buddhist prayer beads malas are used to count the breaths at the time of meditation, number of count the name of the Buddha, the number of recitation of the Mantras etc. 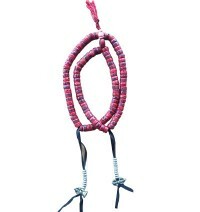 It is believed that the Jaspa Mala will boost inner strength while wearing it. 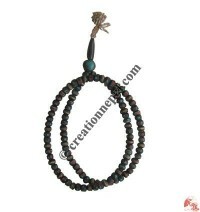 Creation Nepal Buddhist prayer beads Japa mala: Handmade Rosary, Tibetan mala and buddhist prayer beads bracelet online ! 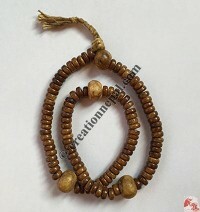 Whether it is Japa Mala Beads or Tibetan Japa Mala and other malas like bone mala, Bodhi seed wrist mala, sandalwood wrist Mala, rudraksha japa mala, rudraksha wrist mala, Lotus seed wrist mala, Rosewood Japa mala, each of the mala beads has been finely crafted by professional makers. Some of them represent Buddhist religious images such as Buddha and Tibetan Buddhist symbols and mantra in various shapes and sizes. 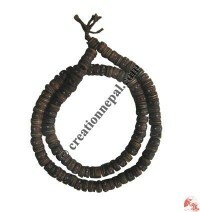 Nepali decorated bone beads mala, Pure sandalwood beads mala, rosewood beads wrist mala, chakra carved bone beads mala, Ivory beads japa mala, natural color wood mala, rudraksha mala, Lapis lazuli, turquoise beads, rosewood mala, Malachite beads mala, Rose quartz prayer beads mala, Fine crystal mala, Amethyst 108 prayer beads mala, Om Mantra beads Mala, Tibetan mantra prayer beads, Decorated Japa Mala, 27 beads wrist mala, Diamond cut crystal 108 beads Mala and decorative rose wood Mala are some of our exclusive malas. 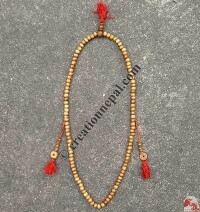 Besides of our own design prayer Malas from Nepal above, we also work on custom design Mala beads necklace of wrist bands that can be different color beads combined Mala of different color tassels or may be different size of beads. Inquire us if you are looking something different. 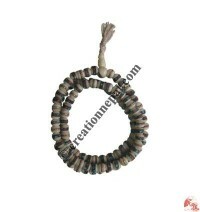 We have complete solution for your prayer beads Mala requirement.